Among the marble columns of the former San Francisco Federal Reserve building, Doug Leone, veteran leader of Sequoia Capital, spoke to a group of more than 300 emerging VCs and limited partners this fall at the 6th Annual MicroVC Summit hosted by Silicon Valley Bank (SVB) and Cendana Capital. Underscoring the importance of seed stage investing in a crowded venture ecosystem, he carefully spelled out his email address for the audience – twice. Sequoia is interested in partnering with these small VCs. After all, someone in that room could find his next deal. With $130.9 billion invested in 2018, US venture capital is at a record high, according to the latest Venture Monitor Report. This abundance of capital is allowing companies to stay private longer (the average time to exit is now 6.4 years). Traditional venture firms have fueled this change by investing larger sums of capital at later stages, sometimes using the very size of their funds as a differentiator. Funds raising at least $500 million accounted for 57.0% of all capital raised last year. Sequoia recently launched an $8 billion global growth fund, the largest single fund in its history. Today, there are many permutations of venture capital, from late stage mega-funds to seed investors filling the gap at the early stage. SVB currently tracks over 500, sub $100M, seed focused funds in the US. These funds are managing over $26B in aggregate, and there are 81 first-time funds currently raising. Sequoia itself has a seed fund, and has always been very active at the early stage; Airbnb and Stripe were both seed investments for the firm. Deal sizes are also rising –median deal size at the seed stage has increased by 25% since 2017 to $7 million. Yet, the total number of VC deals has gone down. This is particularly true for early stage deals; deal count of first financings in the US has declined 23% between 2017 and 2018, resulting in heightened competition for the attention of founders. “It’s never been so horrific in terms of competition, but never better in terms of opportunities,” says Doug Leone. Many GPs and LPs surveyed at the MicroVC Summit told us that their top challenges are the overabundance of capital leading to increased competition for deals and higher valuations. The seed round has become what the Series A was in the classic venture model, both in terms of financing amount and as often the first professional money into a startup. While startup companies have long been disrupting larger firms, we are now seeing disruption in the venture capital industry itself. “Venture has fundamentally evolved,” says Elad Gil, investor and author of the “High Growth Handbook”. “The capital markets have shifted dramatically. One could argue there is as much of a change in venture since the 1990s as in startups themselves,” he adds. In a crowded market, VC’s must find new ways to stand out. “You don’t have to be everything to everyone,” says Hunter Walk. “You can see differentiation in where we invest, where we don’t and in how we operate the fund.” Some venture firms say they are looking to invest in new geographies they’ve never explored previously beyond hubs like Silicon Valley. Two-thirds of those surveyed at the Summit told us that they are likely to make investments outside the US in 2019. Other funds are testing strategies focused on specific industries or technologies, often where they can leverage previous entrepreneurial experience of their partners. Interestingly, nearly the same number of limited partners surveyed at the MicroVC Summit are investing in life science and healthcare as in cryptocurrencies and blockchain. And 10 percent of LPs are investing in cannabis funds. This could be a sign of strategy drift as seed investors seek new ways to differentiate. Many VCs are turning up their marketing efforts to help stand out, hiring PR and content experts. “I don’t have time to look through the haystack to find needles; I need to build a magnet,” says Hunter Walk. But building a unique brand starts by asking why a firm should exist in the first place. “If you don’t know what you stand for, it doesn’t matter what your marketing plan looks like,” he adds. Erik Rannala of Mucker Capital, another speaker at the event, advises seed investors to “endeavor to be what you wish to be seen as. Actions speak louder than words. It’s a reputation business.” In fact, when asked why they believed founders took their investments, most VCs at the Summit cited their reputation as the top reason (72 percent), followed by their unique technical expertise (40 percent), niche/sector investment area (30 percent) and track record (30 percent). Seed investors, in particular, often strive to provide hands-on advice to their portfolio startups. “It’s pretty simple really: actually be valuable so that word spreads, be an expert in something and promote that expertise, and know what you stand for,” says Elad Gil. Hunter Walk closed his talk at the MicroVC Summit by showing that he has the logo for his own firm, Homebrew, forever tattooed on his arm. Luckily, he hasn’t had to use it to win any deals yet. “Micro” Venture Capital Funds: Science Experiment or Successful Business? Jim has been working in the start-up ecosystem in Silicon Valley for over 20 years and has been with Silicon Valley Bank since 2012. As Head of the Emerging Manager Practice at SVB, Jim leads a team that provides general partners with tailored services and strategic guidance-from fundraising to fund operations, to portfolio company support and creative liquidity solutions. 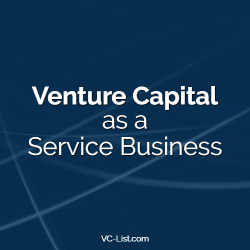 Prior to joining SVB, Jim co-founded Selby Venture Partners, a seed and early stage focused VC firm with over $130M in management from a diversified group of Limited Partners, including the US Government. In addition to having the privilege of working with several amazing founders throughout his career, Jim is proud to have been an early investor in Pandora (NYSE:P), BigFix (Acq by IBM for $400M), Coremetrics (Acq by IBM) and Active Semiconductor, Inc. Jim is a native Californian who serves on the Leavey School of Business Advisory Board at Santa Clara University. Jim holds an M.B.A. from Pepperdine University, where he was honored as a Distinguished Alumnus in 2007, and a B.S. in Finance from Santa Clara University.